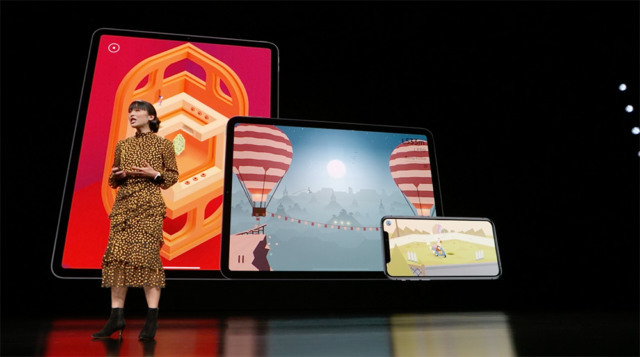 Last month Apple held a special event to further detail their Apple TV shows in the pipeline, while also dedicating a huge chunk of time to their new subscription-based gaming service, Apple Arcade. As detailed at the event, the service will arrive with over 100 new and exclusive games. It’s currently set to launch sometime this fall, although they did not detail the pricing model. However, a new report from the Financial Times indicates how much they’re spending on launching the service. While it was previously reported that Apple was invested over $1 billion in their TV and news subscription services, the figure for Apple Arcade allegedly sits around the $500 million mark. That budget will be spent on acquiring new games for the service before its launch in over 150 countries, although it’s not clear how many of these games they’re investing in will remain exclusive to Apple’s service. Regardless, Apple Arcade will offer customers the ability to download and play as many games as they want across all their Apple devices. It has been indicated that Apple has been offering developers incentives if they go exclusive to Apple Arcade, at least for a few months. Google recently unveiled its own cloud-based gaming service, Stadia, at GDC 2019, promising gamers the ability to play full games via streaming at 4K. Google Stadia is also set to launch sometime later this year.